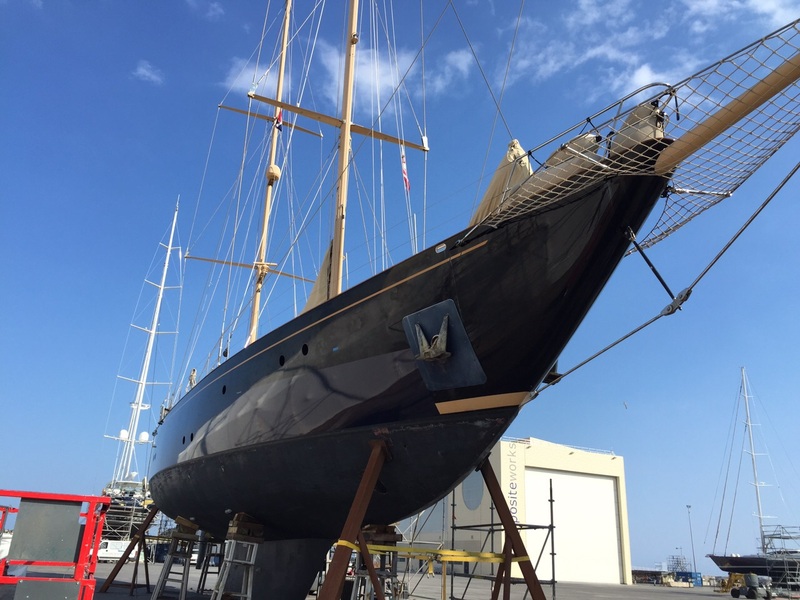 S/Y ‘Strangers In The Night’, owned by airline tycoon, receives Hull Wrap in La Ciotat. 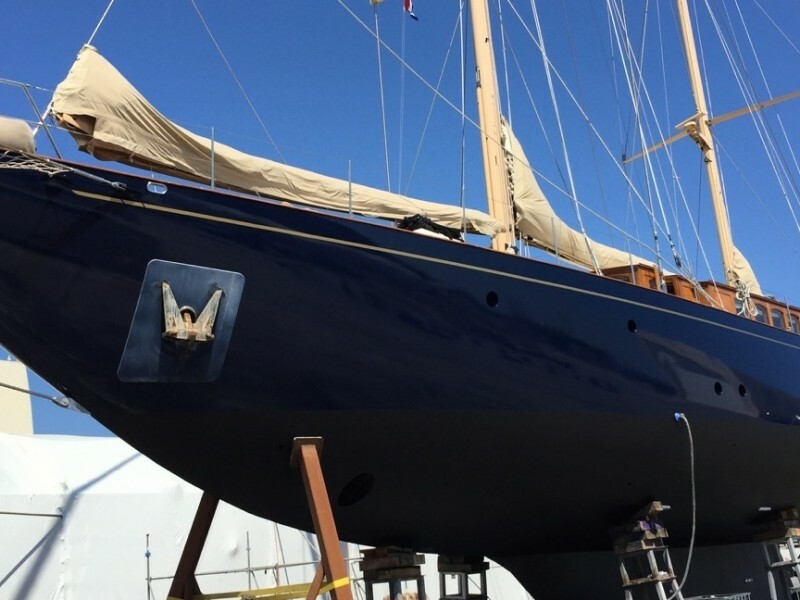 The Wild Group team in France completed a hull wrap in La Ciotat on S/Y Strangers In The Night, owned by the famous owner of Easyjet in June 2015. 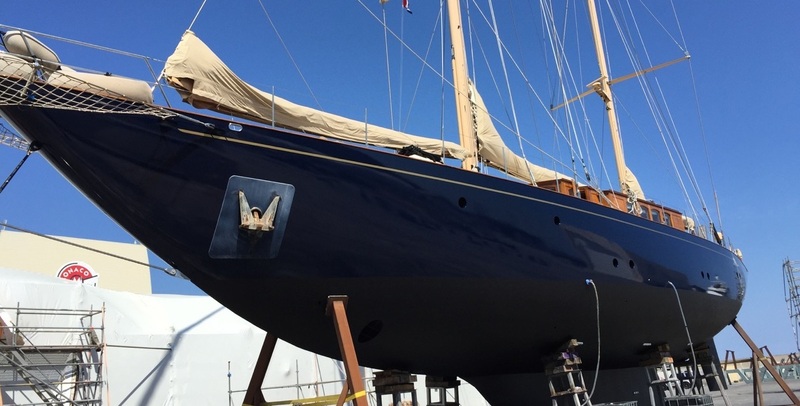 The yacht is a Turkish built 38, sailing yacht built by Cek-Lify. 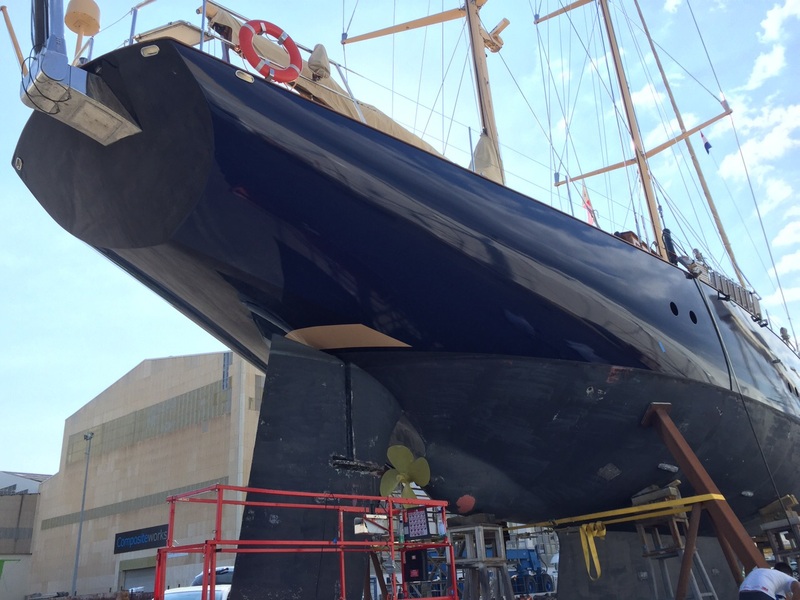 Wild Group International have been commissioned to complete a full hull wrap with stripe in Hexis Gloss Blue Vinyl for the hull, and gold for the stripe boat name signage.